Welcome to Little Birds Music Studio Music! 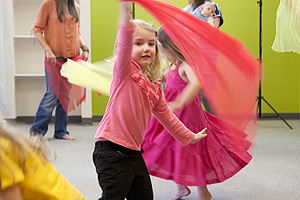 We are so excited that you are considering music classes for your child! Unfortunately at the time, we will not be hosting summer music classes, but stick with us! Come join us in the fall! 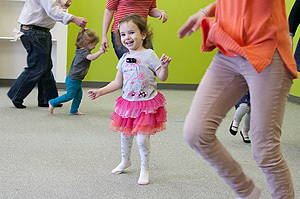 We will have classes for babies through age 6! Little Birds Music Classes are designed to nurture your child’s music aptitude by engaging them and your family in singing and movement activities which help attune the ear, refine the voice, and develop a rhythmic body through which music can be expressed. Additionally, instrumental activities are part of our program, ranging from playing simple rhythm instruments such as sticks and drums for babies and toddlers to playingkeyboards for older children. 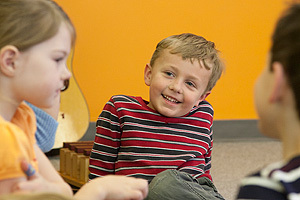 The ciriculum we use, Musikgarten, is the only program that offers curricula for newborns through group piano instruction. It is based on a keen understanding of how children learn, in both a general sense and, specifically, how they learn music. Research has shown that we are all born with an aptitude for music, but that aptitude diminishes if it is not actively nurtured between the ages of birth and nine. Look around and familarize yourself with class offerings! Don't hesitate to send us a message if you have further questions! We look forward to welcoming your family and including them in the Little Birds Music Studio! © 2019 MUSIKGARTEN:: Little Birds Music Studio All Rights Reserved.